The Bob and Ann Weiss award honors undergraduate students and recognizes their contribution to communication center scholarly activity. The undergraduate student submission must be an original research paper that meets the criteria of the call for conference submissions. Submissions should be based on communication theory, but they can be reflexive. A current undergraduate student or recently graduated (within the previous academic year).. Centered on a communication center theory or topic. Original work of the author/authors. Written during undergraduate studies and is not limited to those written as part of coursework. Students are allowed to submit one paper to the undergraduate paper competition. They may submit additional papers for consideration on non-competitive panels. The recipient will be chosen by a committee of NACC members/Communication scholars that do not belong to the home institution of paper authors. The NCA Communication Center Section Student Advocate coordinates this effort. Bob Weiss taught at DePauw University in Greencastle, Indiana, for decades. On campus, he was known as “Mr. Debate,” because of his role as the university’s debate coach. He was successful as a traditional debate coach; he was a national leader as President of Delta Sigma Rho-Tau Kappa Alpha. But, when he felt traditional debate was no longer meeting its communication goals, he joined others in the region in creating the National Educational Debate Association (NEDA), an organization committed to keeping excellent public speaking in the forefront. He believed in excellent public speaking not just for his debaters but for DePauw students at-large. In the late 1970s, the writing across-the-curriculum (WAC) movement began. Bob believed that a comparable effort should be made for speaking. Thus, he was the creator of one of the first speaking across-the-curriculum (SAC) programs in the nation. It featured “S Courses” in the various disciplines and faculty development for all who volunteered to feature speaking assignments in their classes. Many WAC programs featured a writing center as a supporting service. Bob believed that SAC should feature a parallel speaking center. Bob’s wife, Ann, a faculty member in the English Department, took on the task of creating and directing one of the earliest speaking centers in the nation. 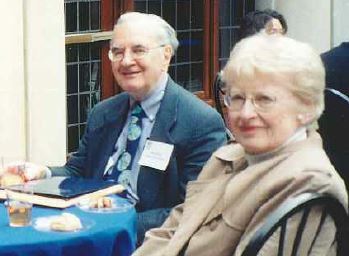 Bob and Ann both were strong advocates for the work they were doing, encouraging other institutions to follow the models they had created. A major part of Bob’s advocacy was the speaking across-the-curriculum newsletter he prepared and mailed-out several times a year. Its pages shared news and ideas, and it also facilitated early networking among those involved in both SAC and speaking centers. DePauw, as a university, has a pronounced focus on undergraduate education. Thus, the speaking center there used undergraduate peer tutors. But Bob and Ann were both educators as well as program directors. As educators, both had a strong commitment to their liberal arts-oriented university’s undergraduate mission. As NACC developed, both Bob and Ann were thrilled to see the level of undergraduate involvement that emerged. Thus, it is quite appropriate that the award for the best undergraduate paper at NACC has been named in Bob and Ann Weiss’s honor.